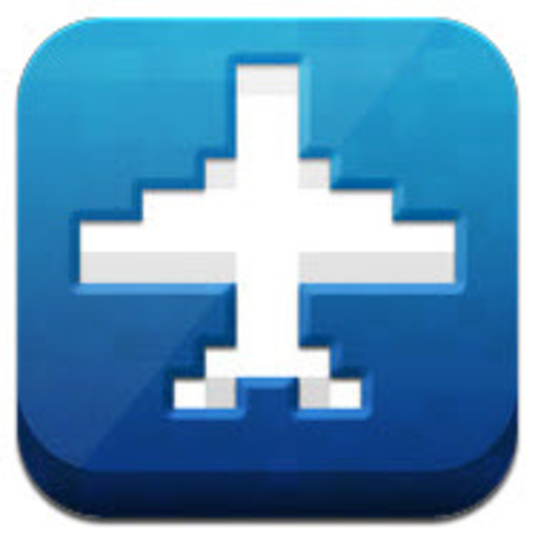 NimbleBit, the creators of the popular iOS game Tiny Tower outdid itself with it’s newest creation called Pocket Planes. This is a game which involves a lot of management and even strategy in a casual game. 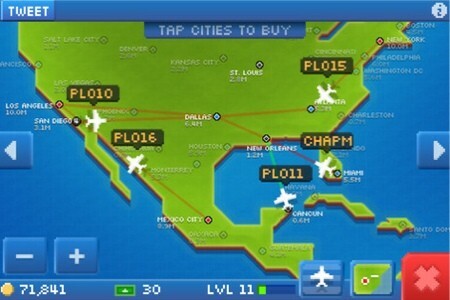 The premise of the game calls for the player to operate a small airline which delivers passengers and freight (or refereed to as “jobs” in game) to different cities. Players start off at a region of their choice, and can begin making connections to owned airports to build up finances.As time goes on, you’ll accumulate coins that can be spent on opening up new cities. The farther the destination city is from its original origin, the more coins a player will receive from the passenger or cargo. If a plane is filled up with cargo or passengers going to the same city at once, you get to experience a 25% increase in profit for each passenger once they arrive to their final destination. In order to maximize profits, a little strategy can be employed to get the bonus on a consistent basis. The graphics in Pocket Planes is almost exactly similar to that of Tony Tower. The Bitizens are the same and still post in their BitBook. Players can customize the Bitizens in costumes, and are able to paint their planes to their liking. There is a player level meter that fills up with each delivery which allows you to buy more efficient and higher capacity planes with each level. Each plane has its own distinct capacity, speed, range, and weight (which to be honest, I’m not sure what impact it has at this point) which gives each plane a different feel. There are about 250 cities that are accessible in the game, ranging from the small town of Ketchikan AK, to mega city Tokyo Japan. The larger the city, the more passengers and cargo are available to fly out of that hub. It’s a great place for layovers to implement in the strategy for bonus coins. The “service” population in game ranges from 0.0 Million to 10.0 Million, so Los Angeles and Tokyo will service the same amount of jobs, even though the total populations of the city are different. The U.S. map in Pocket Planes. You can keep track of all your flight paths here. I’ve been playing this game almost non-stop since I downloaded it last week, and it has been a pretty nice time sink to keep me occupied during lull parts of the day. I started in the southwest U.S. And I’m currently sitting at level 9. I finally opened up an airport in Los Angeles for 51K coins. Opening up airports can take some time, but depending on how devoted to the game you are, it could go by fairly quickly. The game does have micro transactions for Flight Bux which are used to buy planes and plane parts. The good thing about NimbleBit games is that they give you the chance to build up this currency just by playing the game. I bought some Bux (200 for $4.99 US) just to send NimbleBit a thank you for putting together some great games. Companies such as Zynga and EA need to take notes from this small developer in how it manages their in-app purchases (more on that another day). This game is pretty awesome, and I recommend it to anybody looking for a casual game to occupy their time with. It’s surprisingly deep and charming for a game about airplanes, and I expect this to be a heavily used app on my iPad for a long long time. Update: Apparently this game was almost released as Pocket Trains. You can check it out here.